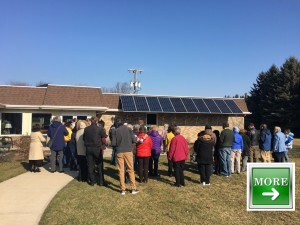 A logical first step congregations can take to address climate change is to reduce energy consumption in their house of worship through efficiency and renewable energy measures. This win-win strategy reduces both carbon emissions and the size of utility bills and can generate enthusiasm throughout the entire house of worship for “going green”. Providing the Energy Stewards program, which includes energy use assessments, green team development, and access to an online energy benchmarking program. OhIPL also places student sustainability interns with houses of worship to work together in developing congregational sustainability goals and activities.